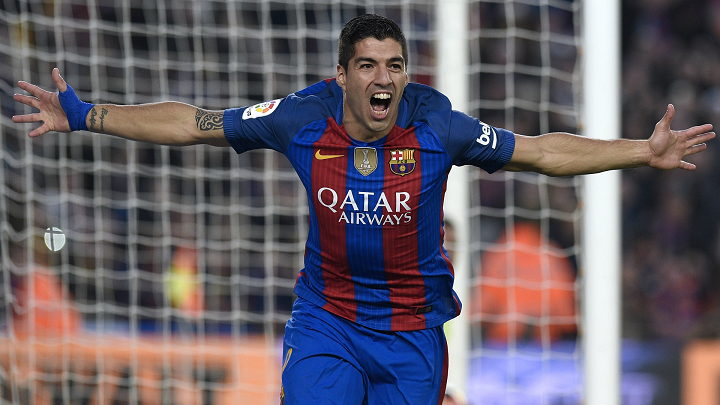 Luis Suarez ended a five-game goal drought with a double as Barcelona extend their lead at the top of La Liga with a flattering 3-0 win at Leganes on Saturday. Barca now lead second-placed Valencia by seven points ahead of their trip to Mestalla next weekend, with both Real Madrid and Atletico Madrid 11 points adrift before they face off in the Madrid derby later on Saturday (1945 GMT). However, two simple Suarez finishes from close range either side of half-time and Paulinho's late tap-in glossed over another under-par performance from Ernesto Valverde's men, who were again thankful to a fine display from goalkeeper Marc-Andre ter Stegen. Despite tougher tests to come this week with a trip to Juventus in the Champions League on Wednesday before Valencia, Valverde named his strongest available side. Suarez was refreshed after sitting out international duty with Uruguay over the past fortnight and had the ball in the net after just four minutes, but Jordi Alba had already been flagged for offside as he supplied the cross for the former Liverpool striker. Leganes have enjoyed a fine start to just their second ever season in the Spanish top flight and a repeat of the 5-0 thrashing Barca dished out on their visit to Butarque last season was never likely as the hosts went onto enjoy the better of the opening half. The busy Nordin Ambrabat fired a shot over a positive run at the Barca defence before Gabriel Pires also dragged an effort wide when well-placed at the edge of the box. However, Leganes' good work in the opening half hour was undone by a goalkeeping error when Ivan Cuellar limply palmed Paco Alcacer's driven cross into the path of the grateful Suarez to smash home his first goal for a month. Barca's joy was tempered moments later when Gerard Pique was booked for bringing down Amrabat meaning he will be suspended for next weekend's clash at Valencia. Amrabat was the creator once more for Leganes' best chance before the break when he released Alexander Szymanowski inside the area, but the Argentine's curling effort was turned to safety by the in-form Ter Stegen. In contrast, just as in the first-half, Barca were ruthlessly efficient in front of goal to double their lead on the hour mark. Lionel Messi's dinked pass released Alcacer and after Cuellar parried his first effort, Suarez drilled home the rebound for his second of the afternoon. Barca rode their luck to hold out for a 12th clean sheet in their last 17 games as Ter Stegen saved one-on-one from Amrabat and Beauvue blasted well over when unmarked 10 yards out. However, Barca piled more pressure on the chasing Atletico and Real ahead of the Madrid derby and rubbed salt into Leganes' wounds when Paulinho rolled into an empty net when a loose ball broke off Messi in stoppage time.